It is estimated that 1 in 3 people will get shingles at some point in their lifetimes. Chicken pox on the other hand ranks among the most common infections in children. Both diseases are caused by varicella-zoster virus. There are a couple of things that are important to know about both shingles and chicken pox. The fact that they are viral infections means that they cannot be completely cured. Learning what there is to know about them helps with prevention and reduces the risk of complications. This article investigates the similarity and difference between chicken pox and shingles. 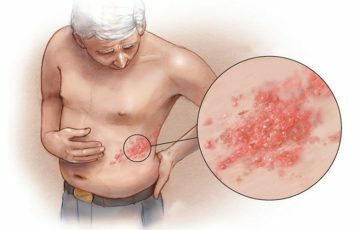 What is the connection between chicken pox and shingles? Chicken pox is a viral infection that mostly occurs in children. It is caused by the varicella-zoster virus. When chicken pox occurs in adults, symptoms are more severe. In pregnant women, chicken pox can cause complications involving the unborn baby. Chicken pox is very contagious. About 8 in 10 people who come into contact with causative virus for the first time become ill. When infected persons cough or sneeze, they introduce virus particles to surrounding air. Healthy individuals can then pick up the virus particles by breathing in the contaminated air. Virus particles can also be picked after coming into contact with the conjunctivitis. Pregnant mothers can transfer it to their babies. Chicken pox virus attacks epithelial tissues. The incubation period is 2-3 weeks. Just about a day or two before rash appears, patients are most contagious. 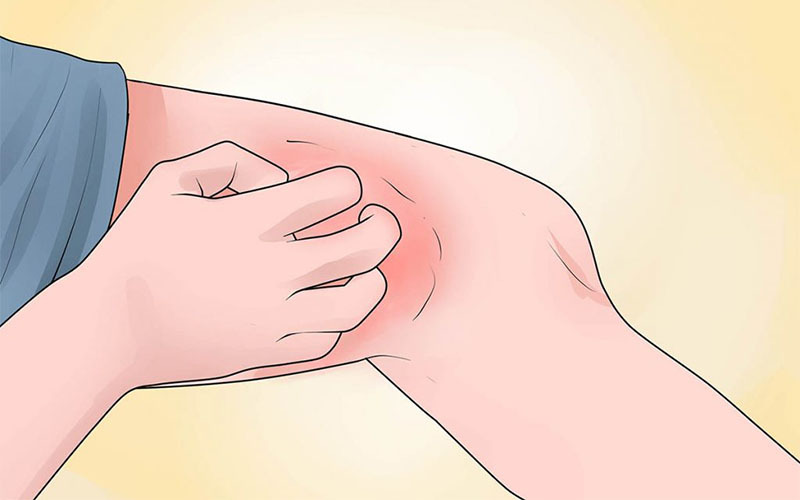 The rash is usually preceded by a hike in body temperature. It is characterized by tiny itchy blisters which are densely populated on the trunk and head. The blisters begin as small red spots but quickly become elevated to form vesicles. After a few days, the vesicles break open and crust over to follow the normal healing process. Recurrence is rare since patients develop a form of immunity after initial attack. Once a patient recovers from chicken pox, the varicella-zoster virus doesn’t entirely leave the body. It hides in sensory nerve fibers where it stays dormant. When certain conditions like weakened immunity are present, the virus can be reactivated, in which case shingles occurs. Symptoms of shingles begin with flu-like symptoms like fever, nausea and fatigue. These are the early symptoms of shingles. 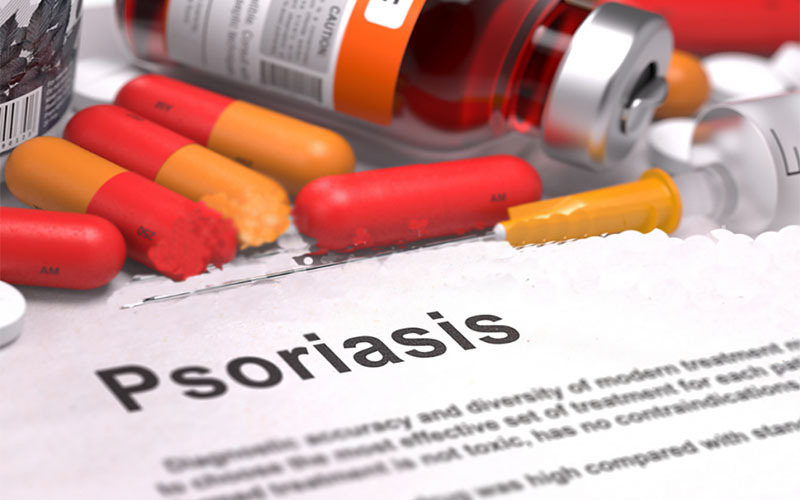 2-3 days before the rash appears, pain, tingling, burning and stinging often occur. 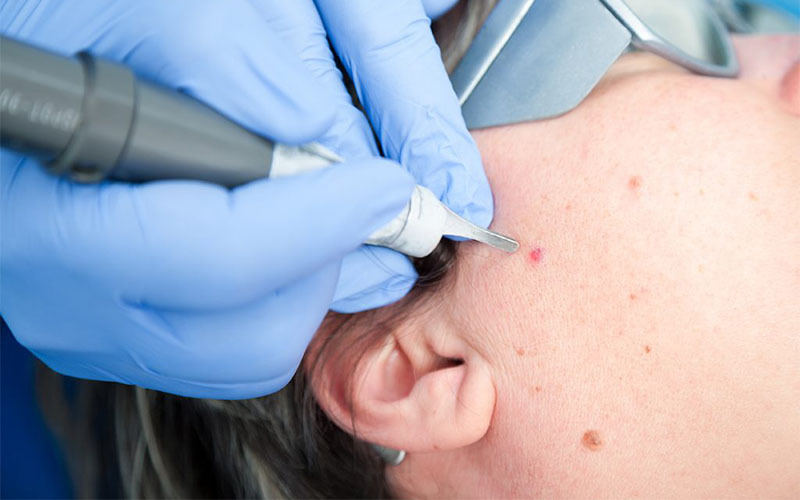 These symptoms are a result of the reactivated virus moving from nerve fibers towards the skin. A painful rash characterized by blisters will appear and may linger for the next 2-5 weeks. Like in the case of chicken pox, shingles blisters often break open and ooze before crusting over. See shingles on forehead pictures for illustrations. Can shingles affect genital area? Shingles is more common on chest, torso and face. It however can affect any part of the body including the genital region. The main difference between chicken pox and shingles is that the chicken pox rash is widespread. Chicken pox vesicles are present on all mucous membranes and also on the head. Only the soles and palms are spared although the rash is not intense on the face. 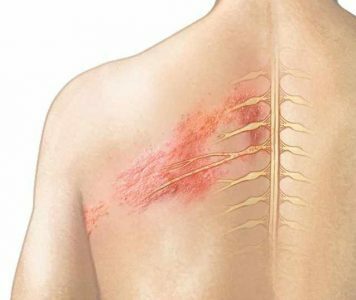 As for shingles, signs and symptoms are localized on areas served by the affected nerve fiber. For example, signs can appear on only one side of the face or only on one arm. However, it is possible to get shingles in multiple dermatomes. Can you get shingles if you never had chicken pox? 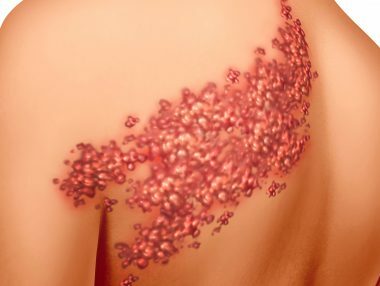 It has been hinted that chicken pox shares a close connection with shingles. So can you get shingles if you never had chicken pox? A person who has never had chicken pox cannot get shingles. Once a person is exposed to the varicella virus, they first develop chicken pox. It is only after years or even decades that shingles shows up. For example, chicken pox is mostly diagnosed in children. Shingles on the other hand is most common after 50 years of age. 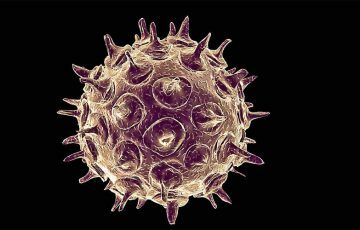 This means that the herpes zoster virus can stay dormant for several decades until an individual’s immune system is weak enough to allow an attack. This is what happens as people get older. You also cannot get shingles from another person who has the disease. However, the herpes zoster virus can be passed to a healthy person. Touching shingles blisters when they have broken open or breathing in virus particles are the main means of transmission. If a person contracts herpes zoster virus from a shingles patient, they will get chicken pox if they have never had it. Is shingles contagious to toddlers? During pregnancy, shingles is not dangerous but chicken pox is. After birth, mothers can pass herpes zoster virus that causes shingles to their babies. This may cause chicken pox and later shingles. Mothers should talk with their doctors for professional help. 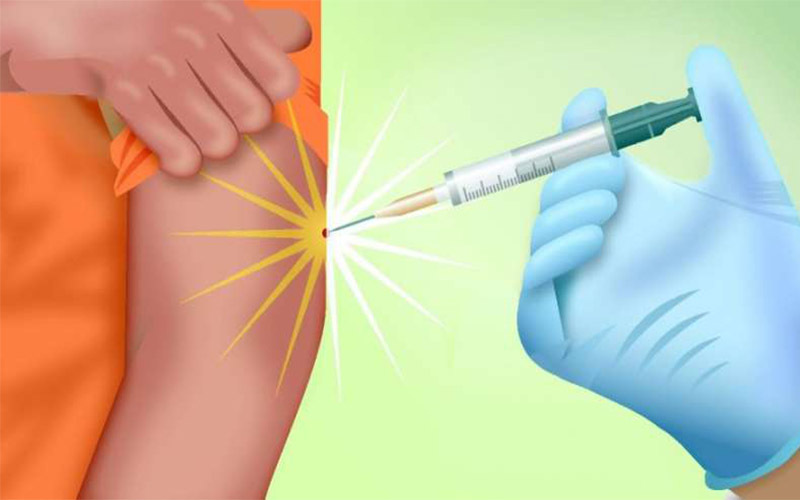 Does chicken pox vaccine prevent shingles? We know vaccines are important but some of us don’t know why. When you are given a vaccine, weakened or nonliving disease causing organisms are introduced into the body. This sparks a reaction from immune cells which move to fight the pathogens. In the process, immune cells learn the mechanisms with which the pathogens cause infection. Next time a similarly structured pathogen attacks, immune cells will be ready to launch a counter attack. So does chicken pox vaccine prevent shingles? 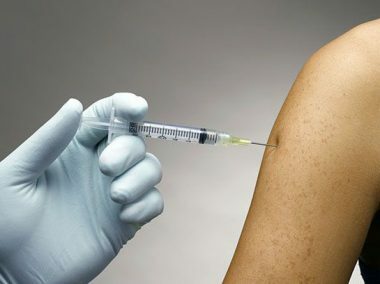 Chicken pox vaccine does not prevent shingles. In fact, it also does not prevent chicken pox. What it does is ensure that chicken pox symptoms will not be as severe as they would be had a vaccine not been given. Shingrix and Zostavax are the two shingles vaccines available today. Shingrix was approved in 2017 by FDA. It is a nonliving vaccine and therefore can be safely given to patients with weakened immunities. Zostavax was approved in 2006. It is a live vaccine so not recommended for people with weakened immunity. 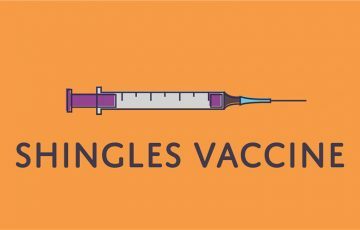 Like in the case of chicken pox, shingles vaccines do not prevent shingles. They only ensure that symptoms will not be severe, should a shingles outbreak occur. The vaccines are recommended for persons above the age of 60 years. 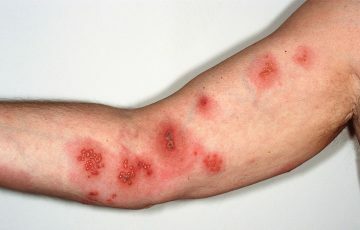 This is when complications of shingles are most likely. Can shingles cause breast cancer? It is possible for recurring shingles to precede breast cancer. This can be caused by issues with immune system. However, shingles has not been shown to cause breast cancer. In fact, the more likely scenario is breast cancer patients who are undergoing treatment getting shingles. And can you get shingles on your neck? Shingles can occur on the neck. When it does, only one side of the neck will be affected. How is the virus that causes chicken pox and shingles treated? Viral diseases are never easy to treat. Even antiviral medications don’t fully succeed in completely flushing all viruses from the body. Regardless, antiviral medications are primarily used for treatments. Doctors sometimes prescribe pain relievers such as in case of post-herpetic neuralgia in shingles. Other treatment options to consider include antidepressants and corticosteroids. Over the counter creams to relieve itching and pain are also available. Internal shingles treatment works more effectively and faster. 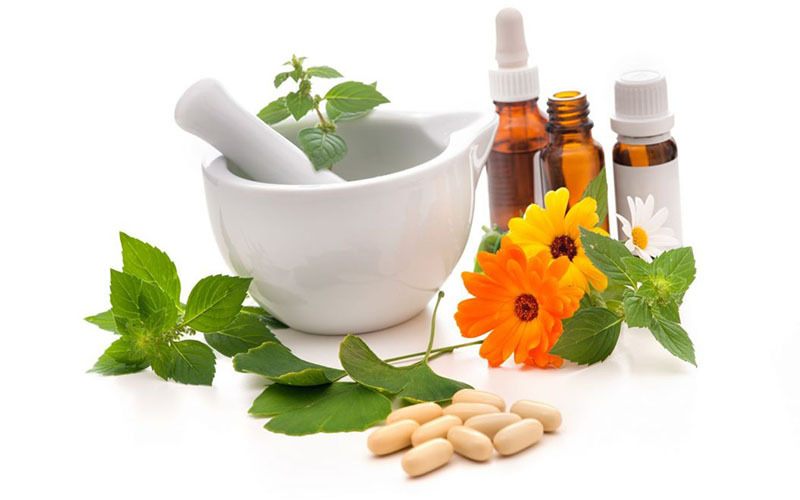 Home treatments can also be used to improve symptoms of both diseases. For example, shingles and chicken pox rashes are often itchy. 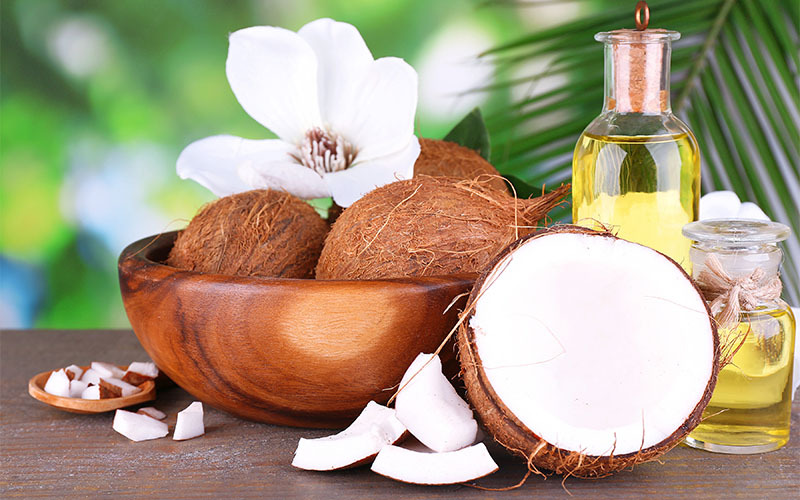 Applying essential oils to affected areas can help relieve the itching. 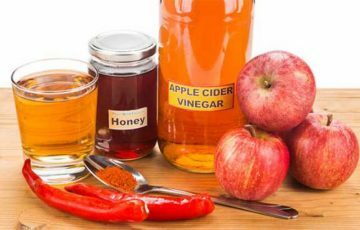 Other remedies that may help include oatmeal baths, capsaicin and calamine. Cold compressing on blisters is a classic way to relieve pain and also keep affected areas clean. Sometimes, bacteria take advantage of open blisters to cause secondary infections. Is there a test for shingles? Before treatment, diagnosis is often necessary. Doctors usually identify shingles during physical examination. The only test that may be required is a scraping of the blisters to be examined under a microscope. 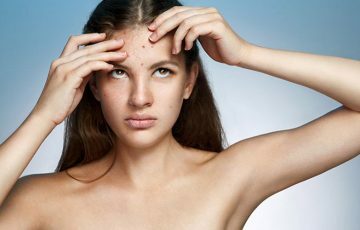 It is very likely that a healthy person who has never had chicken pox will catch the infection when a chicken pox patient is around. For this reason, prevention can start with avoiding close contact with chicken pox patients. A more practical prevention measure is to get vaccinated against chicken pox. Although it will not entirely prevent the disease, it will prevent severe symptoms and possible complications. Much the same can be said in the case of shingles. Anyone who has ever been diagnosed with chicken pox can get shingles at any time. People with chronic diseases or taking medications that may lower immunity are more likely to get the disease. Shingles vaccines cost around $150-$200 a shot. Zostavax is effective for about 5 years. The problem is that a vaccine booster is yet to be approved. For such reasons, it is most recommended to get shingles vaccine after your 60th birthday. 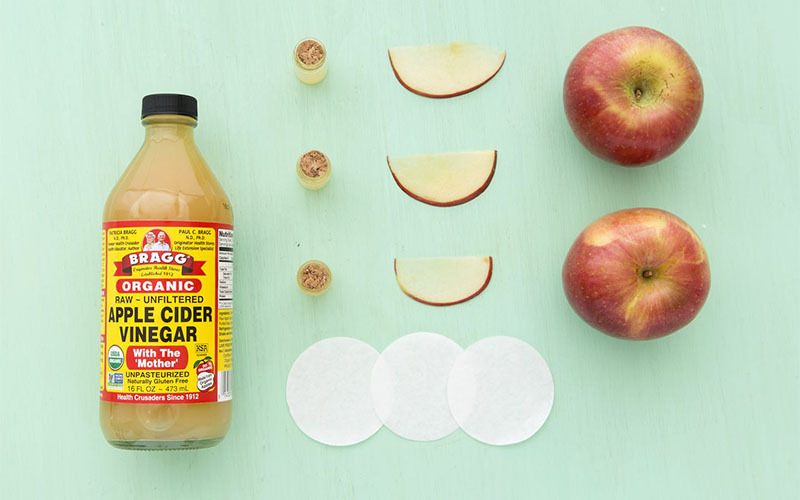 Not much can be done to prevent shingles. Patients can however try the above mentioned options as well as managing diseases or conditions that may weaken the immune system. Starting treatment as early as possible has also been shown to be helpful.